Have you ever joked with a friend or family member about being a “Facebook stalker?” Just about everyone with a Facebook or Instagram account qualifies as a social media stalker these days. But when does an innocent social media search cross the line into actual stalking, and when does this seemingly innocent obsession break Tennessee state law? It often begins when you follow someone on social media, but then you find yourself on their profile for hours at a time. You look through their pictures; you read comments on their Facebook and Instagram post; and you take it a step farther by showing up at a local place where they’ve publicly checked-in on Facebook or Foursquare. When Has Your Behavior Crossed a Line? Are You a Real Stalker? Stalking is defined by Tennessee law as the willful act involving repeated harassment of someone that causes a reasonable person to feel terrorized, frightened, intimidated, threatened, harassed or molested, and that actually causes the victim to feel this way. The bottom line is that one or more separate acts can be concluded as stalking when they are unconsented, causing the victim to feel significant mental suffering or distress. How Can You be Criminally Charged with Stalking? Here are four situations that can lead you to being criminally charged with stalking. 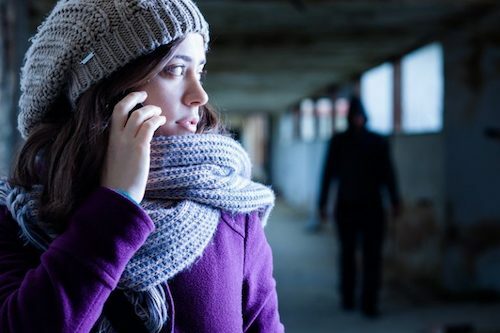 Intentionally following someone and showing up wherever he or she happens to be is referred to as “traditional stalking.” Physical appearances include driving or showing up at the victim’s home, school or place of work repeatedly. If an order of protection is put in place, this behavior would be a violation. When you damage a person’s home, car or other property causing him or her to fear for their safety. Unwanted communication by phone or electronic communication. The repeated act of sending texts, emails, letters or gifts unwanted by the victim can be classified as stalking. You can face charges if you make harassing phones calls including repeated hang-ups. Leaving written messages and objects for the victim that causes them fear is also a form of unwanted communication. This can also extend to inappropriate use of social media including spreading false rumors, if your state recognizes cyberstalking. Unconsented social media messages such as Facebook messages are considered electronic communication and considered as cyberstalking in the state of Tennessee. Both physical and sexual assault can contribute to stalking charges. Threats made towards the victim’s family, friends and coworkers can also result in charges being made. More than 6.6-million Americans become victims of stalking each year in the United States. Stalking is typically charged as a Class A misdemeanor and is punishable by up to one year of jail time and fines up to $2,500. In other situations, stalking is charged as a felony offense and additional charges can be made when committing the acts of stalking. Facing stalking charges can haunt you forever. Criminal Defense Attorney Bernie McEvoy knows how the Tennessee court system works and is qualified to assist you with Criminal Defense in Nashville, TN. Call our office at (615) 255-9595 for a consultation of your domestic violence or stalking case today.